Reactions within the church to the fossil record of humans have been extremely variable, even by those that ascribe to single pair (Adam and Eve) of progenitors in the recent past. You only have to look at the reaction of different evangelical communities (see: Bones of Contention: How Will Creationists Respond to a Huge New Hominid Fossil Find?) to the recent find of a large collection of strange bones retrieved from the deep recesses of a cave in South Africa to understand how diverse the reactions to hominid fossils have been. I have commented on the current state of confusion among creationists elsewhere (see: Bones of Contention II: Ape, Human or Fraud; Young Earth Creationists Respond and Bones of Contention III:ICR Claims that Homo naledi Fossils are of an “Imaginary Creature”). Disagreement among evangelicals over human origins is nothing new. I highly recommend reading the book, “Adam’s Ancestors” by David Livingstone. In that book, Livingstone reviews the views, primarily of Christians over the past 2000 years, regarding the origin of human races, human fossils, and other evidence of ancient human populations. Livingstone demonstrates that the struggle to interpret that data with respect to understanding human population distributions, race, variation and more recently fossils is not just a recent phenomenon but has persisted within the church for hundreds of year with many different views holding sway over time. If a recent (<10,000 years) origin of Adam and Eve is a necessary outcome of one’s interpretation of scripture, then all fossils and remains of human-line bones must be designated as either descendants of that primeval couple or the remains of extinct lineages of primates that, though they may have been similar to humans, are not in the lineage of Adam and Eve and thus not human by definition. But which hominid fossils belong to which group? There is by no means a consensus among those who hold this interpretation of human origins. Some insist that some fossils—for example, those ascribed to the name Homo habilis or Homo erectus or even Homo neanderthalensis—are not human, while others insist that they are fully human descendants of Adam and Eve. It isn’t just the physical features of the bones and their relation to humans that is debated, but the attendant evidence of culture (e.g., burial rituals, tool-making) that are found along with the bones is also hotly debated. With this in mind, I want to turn my attention to a strange group of caves from South Africa referred to as the Malapa caves. This system of cave and cave remains has yielded a series of strange fossil hominid bones (additional story from National Geographic). I am using the term “hominid” since there is no consensus among Christians about their humanity. From these weird caves, described below, large blocks of rock have been retrieved, which CT-scans and X-ray technology have shown contain bones that have taken many years to extract and will continue to keep scientists busy for decades to come. 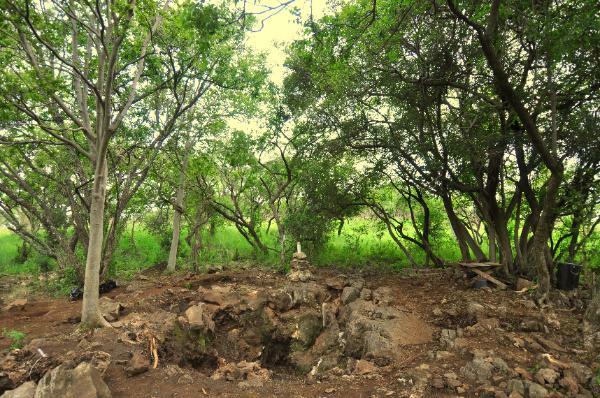 The bones previously found at this site already have been described as a new species of hominid, Australopithecus sediba. This species has been described as one of the earliest ancestors of humans, with evidence of walking upright including specialized hip and foot bones. This particular fossil site has been widely discussed and debated among anthropologists because of the strange mixture of characters seen in the skeleton, such as non-human features of a very small cranium and long arms, yet hips and feet that suggest upright walking and possibly even capacity to run. 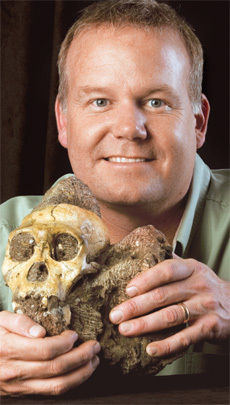 Professor Lee Berger holding his most famous fossil find as of 2012, a crania of Australopithecus sebida. This fossil was found not far from the current location of his newest research site that has now yielded more than 15 individuals of what has been named Homo naledi. Young earth creationists, and even many old earth creationists such as Hugh Ross, don’t accept primate ancestry of Adam and Eve, and so they assign presumed human fossils to one of two categories: descendants of Adam or an extinct species of ape. The features of this particular set of fossils show how difficult it can be to determine if the bones are human or ape. The new bones just revealed this year in the Rising Star cave system not far from Malapa are proving to be even more difficult to assign to one of these two categories (See: Bones of Contention II: Ape, Human or Fraud?). 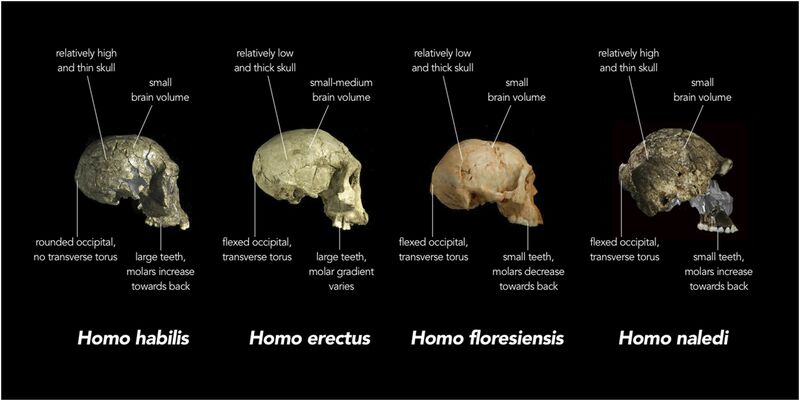 With respect to the hominid fossils of the Malapa caves, Todd Wood, a young earth creationists, published an extensive review of hominid fossils in the Answers Research Journal, which is Answers in Genesis’s so-called peer-reviewed advanced research journal. In this review, Wood employs a variety of statistical measures to try to define the homo “baramin” (a baramin is the young earth creationist’s term for the “kinds” of the initial special creation events of the 6 days of creation) versus non-human ape baramin. He concluded that most of the fossils described by anthropologists as “Homo” are descendants of Adam and Eve. This would include Neanderthals from Europe, the hobbit fossil from Indonesia, Homo habilis, Homo erectus etc… He also concluded that the fossils from this site described as Australopithecus sebida is also a descendant of Adam but that other species of this genus represent extinct apes. Hugh Ross (an old earth creationist) is far more restrictive than Wood or even any other young earth creationists. He considers Australopithecus sediba and even most of the other “homo” fossil species including Neanderthals to not be related to modern humans at all. A year after Wood’s paper was published, Answers in Genesis (AIG) published an article on this website by three of their staff that discussed how Australopithecus sediba was nothing more than an extinct ape. I find two things interesting about this second article. First, the authors make NO mention of Wood’s extensive analysis of hominid fossils, including the one they are specifically critiquing in their article, thus giving their audience no idea that other creationists disagree with their view. Secondly, although they dispute the dating techniques used to show the fossils are around 1.9 million years old, they do not discuss the geological context in which these fossils were found. Despite the emphasis of my long introduction, the debate over human ancestry isn’t what I am interested in commenting on with respect to this recent fossil find. I am more interested in the context of the fossil find here, not the exact classification of the fossils themselves. I find that, among creationist organizations, hominid fossils are poorly understood and the general public is even less aware of the extent of the hominid fossil record and its implications. If this is an accurate assessment of the state of Christian’s knowledge of fossils, then the geological context in which those fossils are found is probably a complete mystery. I think there are two reasons for this: 1) the geological context isn’t understood and so not explained; and/or 2) when it is understood by Christian apologists, they find it so challenging to their convictions that they don’t want to discuss it. I will try to illustrate the challenges that come with a great knowledge of the geological context of hominid fossils by examining this Malapa cave fossil site that contains the bones what for young earth creationists are considered either a fossilized extinct ape or a fossil human. Regardless of their taxonomic status, the geological context in which they are found raise the same questions and problems for the YEC hypothesis. Malapa Cave cartoon depicting what the caves system might have been like at the time that the animals and primates fell into the cave and became fossilized by minerals in the water. Courtesy Lee R. Berger. Illustration by Paul Dirks. I have to say that I’m really uncomfortable with that statement, purely from a theological point of view. I guess it comes from my belief in ‘sola scripture’ and also ‘scriptural inerrancy’. I think the fact that you seem to give ‘general revelation’ the authority you do, that the scriptures must fit in with it. Another problem is the fact that we, in our fallen state, don’t know everything and make mistakes. We also let external factors (or bias) affect our decision making, consciously or not. So if we come across some data in the natural world, our interpretation of it may not be correct. So if we’re making our theology fit in with what we believe has been revealed ‘naturally’, we could then be re-interpreting scripture based on a mistake. And what happens if the science changes? Then we have to adjust our theology too. That can’t be healthy. Yes, Joel is much better. And thank you for your kind admonishment. That was very helpful because that very sentence I labored over how to word and it was the very impression that you got that I was worried it might be communicating. I’ve edited that paragraph, essentially leaving out that entire sentence. I believe that all truth is God’s truth and general revelation doesn’t trump the truth communicated in special revelation. I would only say that we may use general revelation to suggest that we re-examine what we may assume is the true message of scripture. That doesn’t mean that our interpretation of special revelation must accommodate. For myself, while I’ve been writing about the topics, you will notice that I don’t take a strong position on the interpretation of the fossils myself. I just don’t have all the answers but I’m fairly comfortable with not having answers to some questions in this lifetime. Thanks for your gracious reply – though I wasn’t intending to admonish with this post, just let you know how the sentence came across to me. Yes I did notice actually with this article that you avoided taking a position on the fossils themselves. Joel, an interesting article about General and Special Revelation. Healthy or not, adjusting our theology to accommodate new knowledge may be inevitable at times. The church in the 17th century had to adjust their theology to the fact that the Earth revolves around the Sun. Joshua and Alan, you make interesting points, though they actually affirm what I said, believe it or not. The Church at the time of Copernicus and Galileo endorsed the geo-centric cosmology. Or otherwise known as the Ptolemaic cosmology, an idea first thought of by Aristotle and further developed by Ptolemy. These were Greek (pagan) philosophers. Note that it wasn’t just the church, but most people, including other scientists of the day believed this cosmology was true as well. So the Church believed the ‘popular’ scientific view of the day. The Bible itself doesn’t really say much either way on the subject. Much of the resistance from the Church against Galileo and helio-centrism actually arose due to a personality clash between Galileo and the pope at the time. But back to the point, it illustrates what happens when the church endorses the ‘popular’ science of the day. As mentioned hello/geo-centrism is a bit of a non-issue when it comes to theology, but I think it sets the scene for modern day science, for example, evolution. It is the popular science of today, and it does impact theology. Anthony, I appreciate your earnestness for true understandings of Scripture and science. It is common for YEC to compare old-earth beliefs to old geocentric beliefs for embracing the “science of the day” over Scripture, but I think this comes from a misunderstanding that I myself used to share. When Christians embraced geocentrism as the science of the day, they disagreed that Scripture was ambiguous on the topic but insisted that geocentrism was the only correct interpretation (see Francis Turretin, and in fact there is a small group that still insists on this today, you can find them on the internet). When Christians embraced the new science of heliocentrism, only then did they believe Scripture did not speak to it one way or the other. Similarly, Christians who believed Scripture insisted on a water layer above the stars rejected the new science that contradicted this, while Christians who accepted the new science as obvious believed that Scripture allowed for multiple interpretations. Christians who reject the “new” science of an old earth insist that Scripture only allows for a young interpretation, while Christians who accept the science insist – unlike the geocentists but more like the heliocentrists – that Scripture does not speak to the issue either way. If science were to “change” back to a young earth, old earth Christians would have no problem embracing it because they believe Scripture allows for either interpretation, just as they (as well as heliocentric YEC’s) would have no trouble embracing science if it “changed” back to geocentrism, or a water layer above the stars for that matter, not because any of them are tying Scripture to the “new science”, but because they are actually “untying” Scripture from the old science and allowing for either possibility. So that is why I think old-earth Christians are more comparable to the newer heliocentrists than the older geocentrists. Hi Joshua, I had no issue with what you said, up to a point (mainly out of ignorance), though I think you were making a slightly different point than I. This is why I see the emerging ‘young earth’ science as equivalent to Helio-centrism. However this is getting off the point. What I really wanted to make clear is that general revelation, with its limitations, should not supercede a vigorous exegetical understanding of the scriptures. If one happens to support the mainstream view of our origins, that understanding doesn’t come from reading the Bible, but from outside sources. Many of those Christians will then read this view of origins into the scriptures. I think you are a bit too gracious to many of these Christians, there are ministries set up exclusively to illustrate this, and they would not easily change. BioLogos and Reasons to Believe are examples. So, I see the Church’s acceptance of the Ptolemaic cosmology as similar to many Christians today accepting long ages etc. It is allowing external input to guide their understanding of scripture (eisogesis). Where it isn’t similar is the actual theology involved, as I mentioned earlier. Solid domes of water, our solar system, not big issues theologically speaking. However I beieve that the secular understanding of our origins has extremely serious theological implications, for example, the nature of God, sin and death in our world, the authority of scripture. I know many who read and contribute to this website will disagree, but that’s par for the course when you’re in a minority. Anthony, I do agree in theory that general revelation should not supersede special revelation, but I believe that my ability to properly interpret the scriptures is just as fallible as my ability to properly interpret nature, which makes me hesitant to place hard limits in either direction! I agree that there are various levels of secular understanding that each have challenging theological implications – such as animal death before the Fall – but I see that intelligent Christians throughout history have sincerely disagreed about which scientific ideas have unresolvable theological implications and which ones do not. For example, you do not believe a solid dome of water or the relation of the Earth to the sun is a big issue theologically speaking, but Luther believed the former was crucial to the inerrancy of Scripture, and modern geocentrists believe the latter is. On the other hand, you believe animal death before the Fall is crucial, but Hugh Ross does not. I believe that in our fallen state we cannot help but allow our personal beliefs about which elements of general revelation are obvious, and which are open to interpretation, to influence our fallible understanding of what Scripture verses must be read a certain way and which are intentionally open to multiple interpretations that can accommodate multiple understandings of science throughout time. Since I hadn’t heard of these caves until your post, I write with trepidation, but allowing the possibility that I missed something, I don’t follow your line of thought. 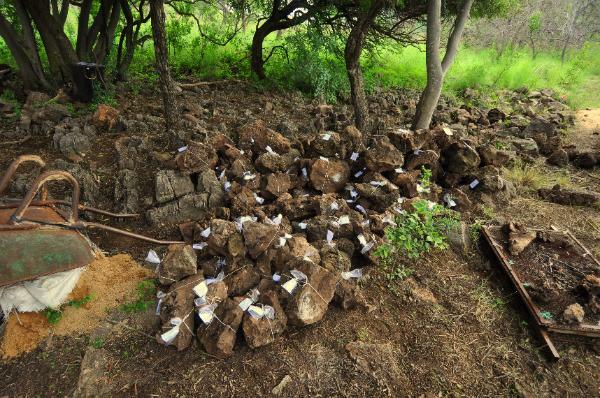 The rocks themselves didn’t have to be post-Flood. He covered the earth, not re-invent it. of course new rocks would have been formed from the upheaval and subsequent factors, but it is an overreach to suggest all rocks must be post-Flood, right? Hi, following standard YEC flood geology logic/hypotheses the rock layers in which the caves formed during the flood since they sit on many other layers of rock that have fossils in them. If the rock layers formed after the flood there would be even less time for the caves to form and then for the the pit to form and animals and hominids to fall in and be preserved. The rock that bones are found in are post-flood because they are formed in mineral deposits inside of a cave and thus would have formed after the cave formed which would have formed after a global flood. I suppose even if the rocks were formed prior to the flood the things that fell into cave would have come later. If YECs wanted to claim these bones got preserved in caves prior to the flood then they would have to say the caves were preserved through the flood. If that were the case I think YECS would make a huge deal about these fossils because these would represent pre-flood people which would be the first physical evidence of people before the flood. Also, I have read in YEC literature of examples of fossilization by mineralization that happens very quickly–that Lyell’s uniformitarianism won’t allow as a possibility. Can this quick fossilization be ruled out, or was the site only interpreted by Uniformitarians? Thanks for writing-interesting discussion. Well, Lyell is allowed to be wrong considering he didn’t know what we know now. Sure, some mineralization can take place fairly quickly under the right conditions. But just because some mineralization can take place quickly doesn’t mean that all it can. There are hundreds of different types of chemical reactions that can be involved in mineralization some of which can occur fairly quickly but others can be shown to take very long periods of time. Also, there are dating methods that can be used to test how long mineralization has been occurring such as in stalactites and stalagmites. M (James Bond? ), I also understand that mineralization can take place rapidly. Also consider, I find it hard to imagine that a pile of corpses lay around undisturbed for eons waiting to become encased in rock. What about the stench from said pile and the airborne scavengers that would have seen this as the motherlode of feeding spots. On a different point – you bring up uniformitarianism, erosion can also happen extremely quickly given the right circumstances.